Heating costs can throw a wrench into your holiday budget, and feeling uncomfortable in your home can make you cranky. But you can limit the discomfort by addressing the gaps, cracks, and energy waste that drive up fuel costs. Such fixes are available at a lower price than you might imagine. Run through this checklist of fixes to make your Florida home cozier and your heating more affordable this year, even if you won’t be using it for too long. 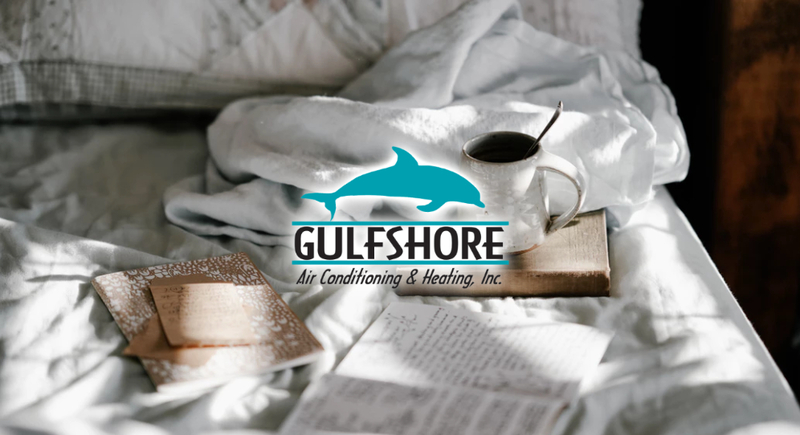 If you find that these simple fixes do not help with lowering your energy bill, it might be time to invest in a new, high-efficiency system from Gulfshore Air. Check your home’s exterior doors for cold air leaks. Do this from inside the house. The high-tech approach is to use a laser infrared thermal gun to detect cold drafts. The low-tech way is to move a lit candle around the door frame; the flame will blow toward you when there is a draft. Seal a drafty door by installing foam or felt weatherstripping inside the door frame. Ask at your hardware store for the correct products and installation instructions. Use a door sweep to stop drafts from entering your home under an exterior door. A sweep is a flexible piece of rubber or plastic that’s held to the door’s lower edge by a strip of aluminum. Find and seal gaps that could be allowing as much as 30 percent of your heated or cooled air to leak outdoors. It’s estimated these leaks can add up to $300 a year to heating and cooling costs. Pull back attic insulation to find and seal cutouts in drywall for electrical fixtures, pipes, fans, and outlets. Also check wiring, chimneys, flues, vent stacks and ducts, and seal them on the inside. Use caulk to fill smaller gaps and pressurized expanding foam for bigger openings. A programmable thermostat can save up to $180 a year on fuel costs, according to EnergyStar. The thermostat can save fuel by automatically lowering (or raising) your home’s temperature while you’re away. It also keeps temperatures consistent, saving fuel. Do not use a programmable thermostat with a heat pump unless the thermostat is meant for use with heat pumps. Set fan blades to move clockwise in winter, and run fans slowly. The idea is to lift cool air to the ceiling and push heated air down where you can enjoy it. Otherwise, use a ladder and manually adjust the small toggle switch on the fan body. You can now set the thermostat a few degrees lower and enjoy the warmth. It’s surprising how much insulation curtains, drapes, shades and even mini blinds can provide. Draw window coverings at night and when you’re away to conserve heat in the home. In hot weather, draw window coverings in the morning to keep the house cool, saving money on air conditioning. If you feel your home needs an upgraded, more energy efficient HVAC system, please do not hesitate to contact us for a consultation. Gulfshore Air is an award-winning licensed and insured HVAC Contractor located in Niceville, FL. We have over 150 years of combined experience in the HVAC industry, we can serve all your heating and cooling needs.